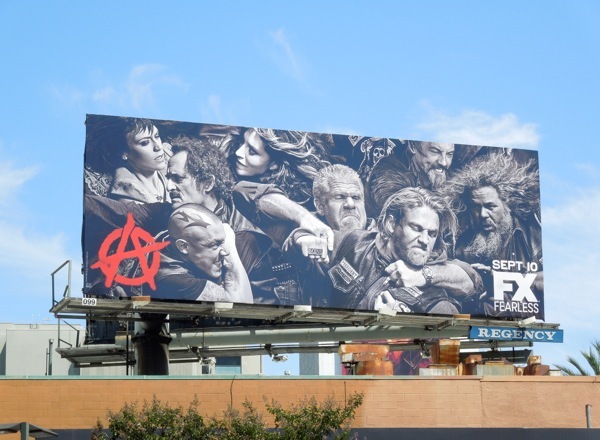 Are you ready to ride again with the sixth season of returning FX favourite, Sons of Anarchy? 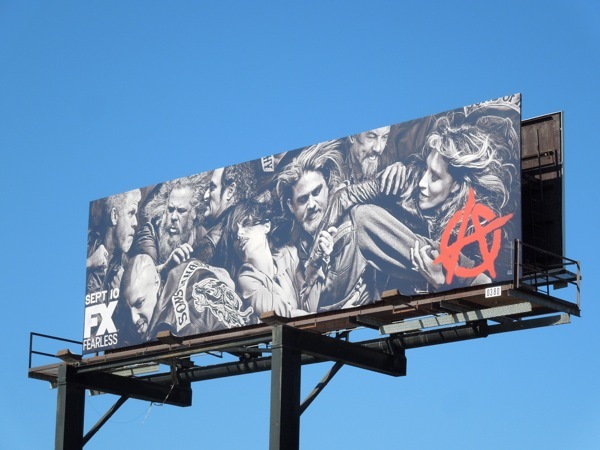 If you like Shakespearean-esque drama, badass bikers, strong female characters, flawed alpha males and jaw-dropping plot twists you don't see coming for miles, then this is the show for you (but then if you're fan, you already know all this). 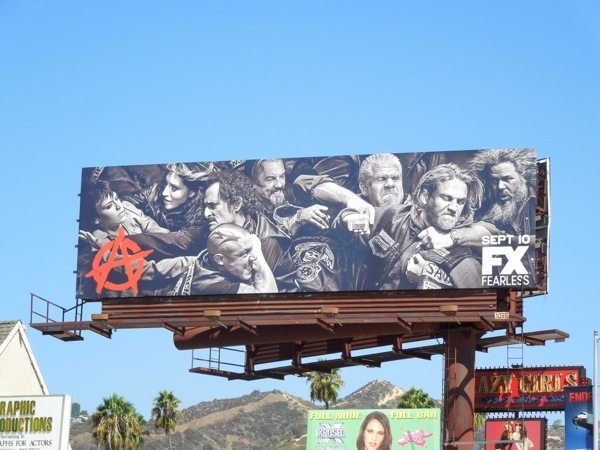 From the looks of the sixth season promo billboard it's all out war this time around, with Jax, Clay, Gemma, Tig and the rest of the crew looking to bash some heads, or get their heads bashed in, in this tangle of bodies and leather. 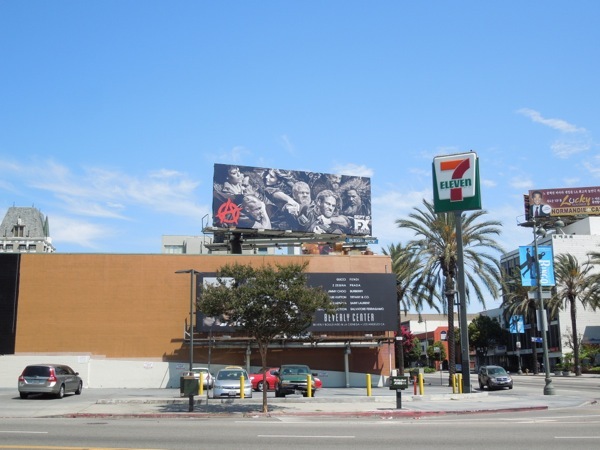 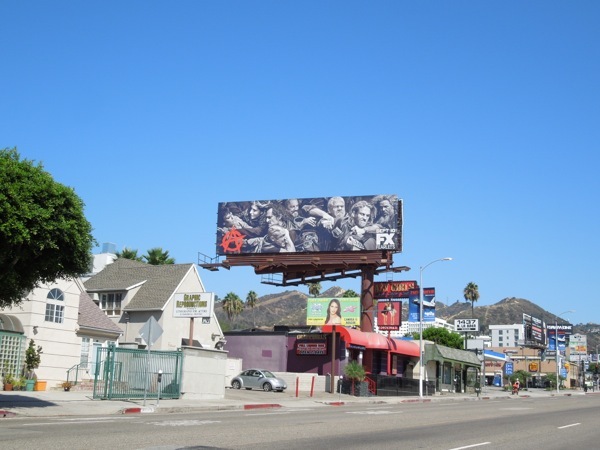 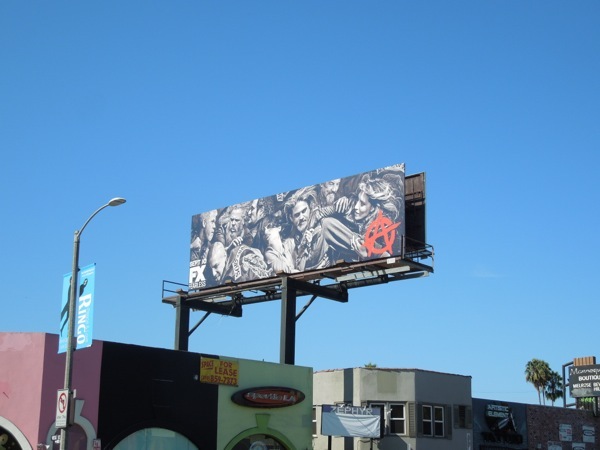 These various mono gang fight billboards for the returning series were first spotted above Wilshire Boulevard at South Wilton Place on August 22, plus along Melrose Avenue and La Brea Avenue on September 3, 2013. 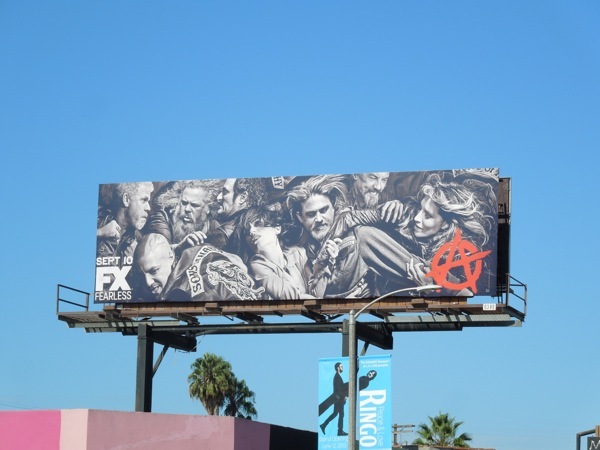 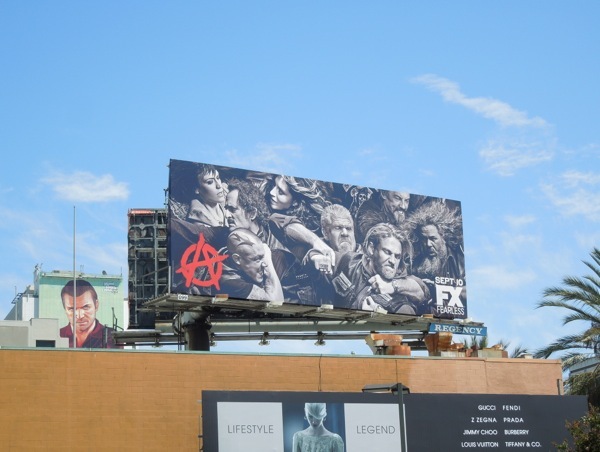 If you're a fan of the show, be sure to also check out these cool previous season billboards for Sons of Anarchy.